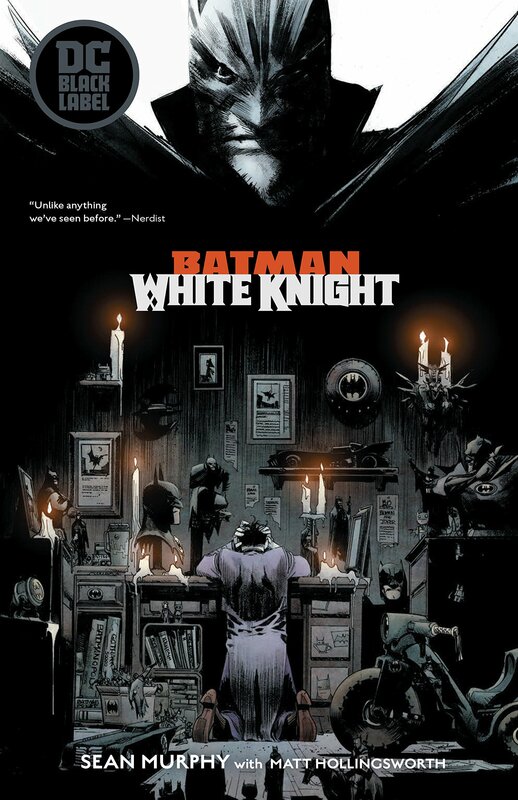 Originally published as part of DC’s primary line as an eight-issue limited series, writer/artist Sean Gordon Murphy’s alternate-universe story Batman: White Knight will be collected as the first release under the publisher’s newly announced Black Label imprint. White Knight‘s addition to the Black Label lineup is not entirely unexpected. The Black Label announcement came with a mission statement articulating that the imprint is designed to allow “premier talent the opportunity to expand upon the canon of DC’s iconic superhero comic book characters with unique, standalone stories that are outside of the current DC Universe continuity,” which is effectively what White Knight was, in a nutshell. Murphy himself conceded the possibility of the series being absorbed by Black Label in a tweet in March stating that, had the initial series release been held a year or so, it probably would have been given the Black Label treatment from the start. Debuting in October 2017, Batman: White Knight follows a reformed — and sane — Joker, who leads a task force to take down the dangerous vigilante known as Batman. White Knight will be joined by original graphic novels from such creators as Frank Miller, John Romita Jr, Kelly Sue DeConnick, John Ridley, Scott Snyder and Greg Capullo. Batman: White Knight hits shelves in trade format on Oct. 9. The post Sean Murphy’s Batman: White Knight Joins DC’s Black Label appeared first on CBR.